The arm with weight pliers is designed for accurate and easy positioning of the weights on alloy rims and it stores the predetermined positions for balancing correction. Automatic programs for ALU S and PAX wheels. 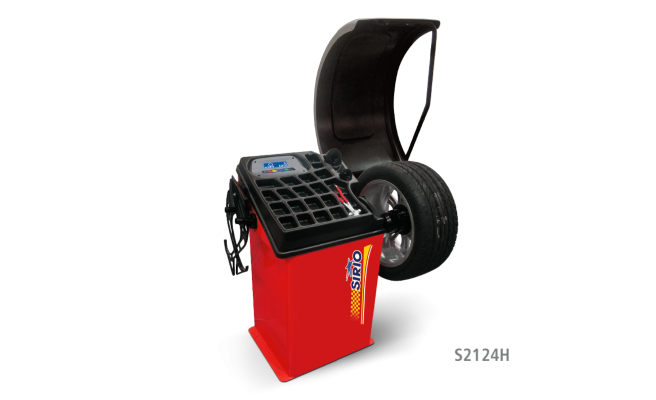 Equipped with pedal brake to keep the wheel stopped during weight positioning and fitting of accessories. Balancer with pneumatic locking of the wheel.